Lend your girl a fine look with this chic blouse. 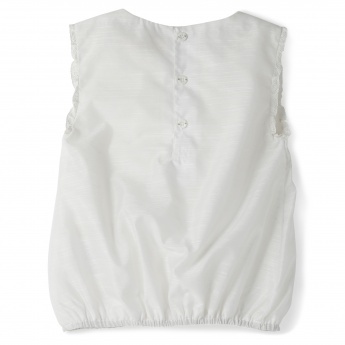 It features a lace trim yoke that highlights its appeal. 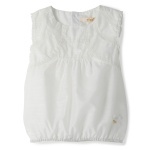 It sports an elastic hem and button-back design that offers utmost comfort.